Nursing Informatics is a specialty within the healthcare field that integrates information management and nursing science in an effort to provide more information in the nursing practice. The purpose behind the integration of science and practice is to promote better health of patients, communities and the global population. If you are currently pursuing a degree in nursing or you are working as a Registered Nurse in the field, it is important that you learn what nurse informaticians do and how you can become one. Read on, and learn about the challenging field of nursing informatics and why it is in demand today. What Do Nursing Informaticians Do? What is the Demand in the Field of Nursing Informatics? If you want to become a specialist in nursing, it is important to look at the job outlook before you take a specialized training or degree program. Based on the data collected and published in the Nurse Journal, the demand for nurse informaticians has skyrocketed in the field and is only projected to grow in the future. The job market is expected to grow by 26% by 2020 and as the Baby Boomer population ages this number will go up. In the next 5 years, the American Medical Informatics Association says that 70,000 NI specialists will be needed all across the country. 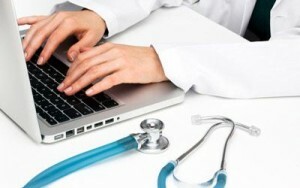 This creates a high demand for nursing informatics college programs to prepare professionals. How Can I Become a Nurse Informatician? If you would like to become a specialist within the field of nursing informatics, you will need to attain knowledge on how to manage information and communication technologies. The first step for people starting from scratch is to earn a Bachelor’s degree in Nursing (BSN) (please see: Top 10 Best Online RN to BSN Programs). Once you possess a BSN, you will need to study for your NCLEX licensing exam to become a Registered Nurse (RN). When you are an RN, you will need to study for a Master’s degree in Information Technology so that you are prepared to adapt technology to facilitate the goals in a healthcare arena. Once you have a Master’s, you can land an NI job. It could help you secure a job by earning certification through the American Nurses Credentialing Center (ANCC). Before you qualify for your ANCC credential, you need to have completed 2000 hours of practice in the field. While there are many specialties in healthcare that are projected to grow, informatics in nursing is projected to grow much faster than average. You should look into degree programs and certification to propel your career forward. Knowing that nursing informatics is so promising should be enough to drive you to pursue a higher education for your professional future.